Winter in real estate is notorious for lower inventory, and often lower prices, but it may just be one of the better times of year to buy. Most real estate news during the winter is akin to lowering median prices, a slow in construction, and a dip in overall housing inventory. 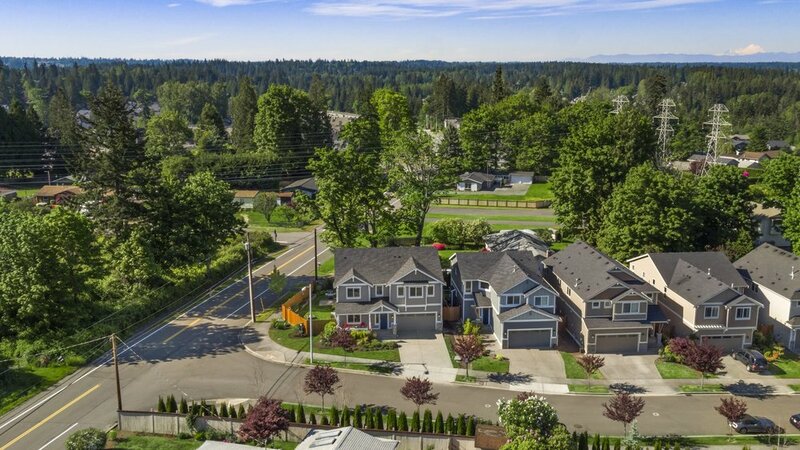 However, even with all of these things popping up in news headlines across the nation; Seattle's housing market continues to come out on top. In Seattle, our slow real estate season is still successful. You'll still have competition (though not nearly as much as the summer months) for those slightly lowered prices and you'll be fighting against a smaller pool of inventory, so how do you win your transaction? We have a few tips. First, and this should really be true for house hunters no matter the season, you want to make sure you're pre-approved for a loan. This process can take a few weeks and if you're already approved to make an offer and move ahead in negotiations, there's a better chance you'll beat someone else to the finish line. In order to get pre-approved for your mortgage loan, you'll need to put together a few things. A recent article published by The Seattle Times goes into detail, "Lenders want detailed information on your financial past and present to help them to predict your financial future." Most notably, you'll need to collect a lot of paperwork. Lenders want to see a proof of income, which means last year's (and maybe the year's before) W-2 forms, your most recent pay stub, and your tax return from the past year. Additionally, if you have other income from sources outside your day-job, you'll need proof of that, as well. This includes any stock, child support, alimony, income from investments, etc. Lenders are also going to ask for details on your debts and assets. "You'll have to put together a complete list of all debts you have, including credit cards, student loans, car loans, alimony and child-support payments, along with a breakdown of balances and the minimum monthly payments on each," states The Seattle Times. Your debt-to-income ratio is a huge part of being approved for a home loan, if you have a lot of outstanding debt you may need to address these before your home purchase. Furthermore, any retirement funds, all auto titles, investment records, bank statements, and other assets will also need to be disclosed. For those receiving money as a gift that is being used for the down payment, you may be required to provide documentation that declares it was a gift and not a loan. In addition to a pre-approval, we also recommend choosing a realtor and sticking with them through your entire process. It can be frustrating for you, and your agent, if you have more than one person sending you properties that may or may not even be what you're looking for. We recommend finding one, seasoned and experienced, realtor and taking the time to discuss with them the things that will make up your perfect home and home search. Lastly, but not least, we implore you to not get discouraged when the process takes a bit longer than you originally planned. Home buying can be a delicate and intricate process; and we promise your realtor wants to get you that perfect home as much as you do! If you have questions about any of these tips or processes, please do not hesitate to contact us for a no-obligation chat about your options.